One of the enduring legacies of the 2012 Presidential campaign was the demise of the white American male voter as a dominant force in the political landscape. On election night, after Obama was announced the winner, a distressed Bill O'Reilly lamented that he didn't live in 'a traditional America anymore.' He was joined by others who bellowed their grief on the talk radio airwaves, the traditional redoubt of angry white men. Why were they so angry? 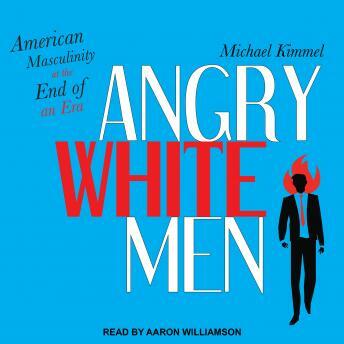 Sociologist Michael Kimmel, one of the leading writers on men and masculinity in the world today, has spent hundreds of hours in the company of America's angry white men in pursuit of an answer. Kimmel locates this increase in anger in the seismic economic, social, and political shifts that have so transformed the American landscape. Downward mobility, increased racial and gender equality, and a tenacious clinging to an anachronistic ideology of masculinity has left many men feeling betrayed and bewildered. Raised to expect unparalleled social and economic privilege, white men are suffering today from what Kimmel calls 'aggrieved entitlement': a sense that those benefits that white men believed were their due have been snatched away from them.